UNC officials and local leaders react to the new state law which overrides local non-discrimination ordinances. Some are planning to go to court to challenge the law. 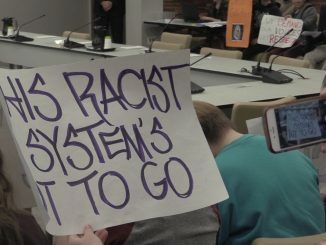 The legislature next month will consider punishing student and faculty protesters who disrupt Board of Governors meetings. 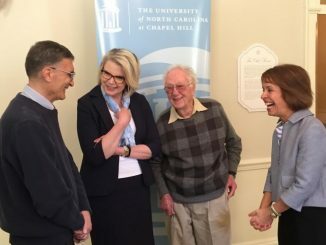 Margaret Spellings visited UNC as part of her tour of the state’s institutions. She met students, faculty and even two Nobel Prize winners. E-cigarettes have become a popular way for some smokers to quit traditional cigarettes, but new research questions the health effects on young people who vape. Is your fitness technology accurate? While sales for devices like the FitBit soar, one UNC professor says the devices may not accurately measure your fitness. UNC and local community leaders react to the state law that eliminates discrimination protection for LGBTQ people. A legislative proposal would punish students and faculty who protest on campus. 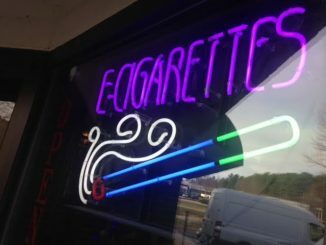 New UNC research raises questions on the safety of e-cigarettes. Is your FitBit telling you the truth? 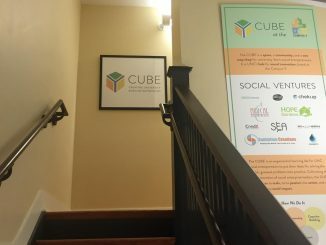 The Campus Y incubator gave 14 student-run social ventures the opportunity to grow and impact communities locally and globally. Millennials likely will play a key role in the North Carolina presidential primary. 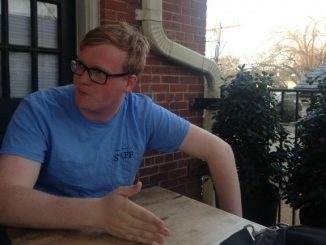 A UNC student is running for the state legislature even before he graduates from college. 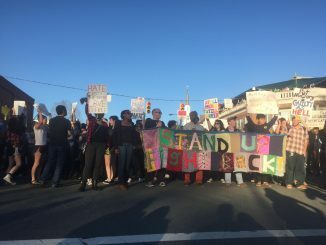 Carrboro leaders react to the fight over Charlotte’s new LGBTQ anti-discrimination law. UNC’s men’s basketball team moves to the ACC championship. UNC students turned out in high numbers to vote early in the North Carolina primary. 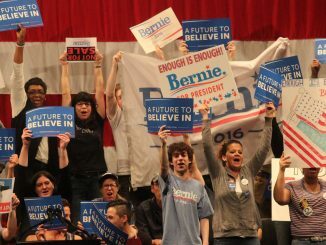 In other states, millennials have proven to be strong supporters of Sen. Bernie Sanders. UNC senior Noah Lieberman has his sights set on one job after graduation: State House Representative for District 103.